A piece of automatic firefighting equipment including a two lakh litres water storage tank was also coming up ensuring increased safety in the hospital. Kakinada: Superintendent of Government general hospital Dr M Raghavendra Rao has said that a sewerage plant first of its kind to treat the effluents and let the water out into the drains was under construction at a cost of Rs 3 Crore in the hospital premises. He told media persons here on Friday on the eve of his two years completion as the hospital superintendent, that a piece of automatic firefighting equipment including a two lakh litres water storage tank was also coming up ensuring increased safety in the hospital. The hospital sewage is waste generated relatively in larger quantities from all the units of the hospitals such as emergency and first aid, operating rooms, drug treatment, ICU, chemical and biological laboratories, radiology, canteen and laundry activities, etc. Since hospital sewage/wastewater consists of various potentially hazardous components that will cause many risks on human and environment by polluting surface and groundwater. Hence, hospital sewage treatment is very much required. The major objective of hospital wastewater treatment plant is to treat the influent (untreated wastewater) generated by the hospitals and healthcare sectors before its direct release into the natural environment. Hospital wastewater may have an adverse impact on environments and human health. Therefore, proper wastewater management in each and every hospital is prerequisite. 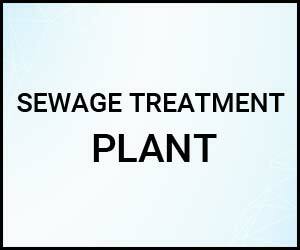 The sewage treatment plant for hospitals is done in a series of steps. Conventional treatment processes involved to remove impurities from the influent. Hospitals and other Health Care Establishments (HCEs) are governed by Biomedical Waste Authorization Rules of local pollution control board. Smaller hospitals are required to connect to Public / Municipal sewers. If the location doesn’t have municipal sewers, then even a smaller hospital is expected to set up their own Sewage Treatment Plant.